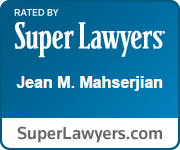 At the offices of Jean M. Mahserjian, Esq., P.C., it is our policy to facilitate client-directed strategies. 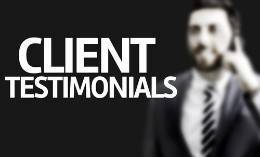 We understand that it is the clients, and not the attorneys in the office, who live with the results of the decisions made. Our goal is to educate our clients regarding the options and attendant risks involved in their cases and to encourage our clients to work with us in setting the strategies and objectives of their cases. Jean M. Mahserjian, Esq., P.C. strives to provide timely, cost-effective services while maintaining the highest standards necessary to achieve our clients’ goals. We use advanced technology and case-management software that allows us to work on a proactive, team basis for all of our clients. This process allows us to provide a lower effective hourly rate while ensuring that our clients have access to our professional services at all times. For our family law clients, when appropriate, we work with and refer cases to matrimonial mediators. The use of mediators in matrimonial matters can significantly lower legal costs and reduce the stress experienced by our clients and their children during the divorce or separation process. It is appropriate and always acceptable for our clients to request a referral to a matrimonial mediator. In many instances, our staff will recommend that a client pursue mediation instead of litigation. For efficient and empathetic service from a Saratoga or Albany attorney at Jean M. Mahserjian, Esq., P.C., call us at (518) 383-1182. We will be happy to answer your questions and schedule an initial appointment at our Clifton Park office. You can also schedule an appointment by contacting us online.